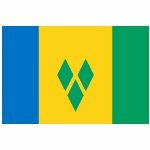 March 14 is National Heroes' Day in Saint Vincent and Grenadines. The holiday is observed on every island of the country. Although Saint Vincent and the Grenadines is a very small country, it has its heroes, who are remembered on March 14. One of them is Chief Joseph Chatoyer, who was killed on March 14, 1795. He led a revolt against the British colonial government. He is a national hero of Saint Vincent and the Grenadines, Belize, Costa Rica and other Carib countries, he was fighting during the war. Chief Joseph Chatoyer is often regarded as sole nation's hero. A monument to him was erected on Dorsetshire Hill, where he was killed by British Major Alexander Leith. A special memorial service is held near the monument to celebrate his contributions. The crowds are entertained by the dances and drumming during the service. Festive events, that celebrate National Heroes' Day in Saint Vincent and the Grenadines, include colorful festivals, displaying national dishes, ethnic clothes, crafts and folk dances. Excursions to national parks are also held as a part of the celebration of National Heroes' Day.